According to the Lancet’s Commission on Global Surgery, five billion people lack access to safe surgical care worldwide. This lack in healthcare equity exists despite the evidence that surgical procedures can be life-saving and cost-effective including in low-resource areas. The need for surgical involvement in the healthcare of developing areas is increasing due to the prevalence of surgically treated non-communicable diseases such as trauma and cancer. Major barriers to providing even simple surgical services include the lack of providers with surgical and anesthetic training, resources such as surgical sutures and instruments, and the ability of patients to access facilities with integrated surgical care. Availability of specialist surgeons in remote areas is extremely limited, leading to potential financial catastrophe for families needing to travel long distances and take time away from work to seek care in urban settings. Global surgery is typically thought of as the delivery of surgical and anesthetic care in low-resource settings. Humanitarian surgery is a term frequently applied to this effort as well. The role of the surgeon can take many different forms depending on the specialty, the needs of local patients and providers, and the goals of partnerships behind the work. Outreach examples include mission trips by a variety of organizations. Operation Smile offers repair of cleft lip. Team Heart Rwanda provides open heart surgery for rheumatic heart disease, and CardioStart International has provided global volunteer cardiac care for over twenty years. In these missions, surgeons are brought in to provide specialized surgical care for common but serious clinical problems. There are the disaster relief groups including Medecins Sans Frontieres and the American Red Cross, which provide immediate, organized aid in times of natural disasters and infectious epidemics. Small groups of surgeons often rally their own trips in times of serious need, such as after hurricanes and earthquakes. Typically the smaller groups provide care under the umbrella of larger, more organized groups. Then there are the innovative physicians and scientists that provide education and conduct research on global health, like Paul Farmer and his colleagues at the nonprofit healthcare organization Partners In Health (@PIH), which supports fellowships for developing future “global surgeons”. Surgeons have unique skills to contribute to humanitarian medicine including technical skill, expertise in managing logistics, and experience with team-based care. There are many specialty-specific challenges, but a great deal of progress has been made and there are now many opportunities for surgeons from all backgrounds to participate in global surgery. Given the increasing interest of general and subspecialty surgeons to participate in global surgery, the AWS is hosting a tweet chat to discuss #GlobalSurgery. Join @womensurgeons with moderators Dr. Virginia Litle (@vlitlemd) and Dr. Gita Mody (@gitamody) for a tweetchat on February 18th at 8 pm Eastern Time by following #AWSchat. If you haven’t participated in a tweetchat with us before, check out this tutorial written by Dr. Heather Yeo (@heatheryeomd) to know more. How do you define #globalsurgery and/or humanitarian #surgery? Should surgeons in high-income countries be engaged globally to serve the medically underserved? There are multiple challenges for surgeons to participate in humanitarian care outside of work, including time and financial constraints as wells as need for supportive professional partners. How best can surgeons provide global surgical care? While often in an international setting, outreach also may be to local underserved or immigrant communities in the United States. What are the obligations for surgeons to provide local humanitarian work? Due to the different requirements for surgical board certification, residents and fellows have different restraints on their opportunities to do #globalsurgery work. Should we engage trainees (residents and fellows) in #globalsurgery and humanitarian #surgery efforts? 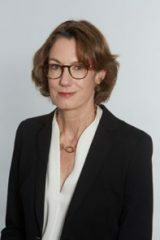 Dr. Virginia Litle (@vlitlemd) is Past President of Women in Thoracic Surgery and Professor of Surgery and Chief of Thoracic Surgery, Boston University Medical Center. Her global experience includes a clinical empowerment trip to the Solomon Islands to teach clinicians endoscopic skills and ongoing translational research efforts in India to screen for esophageal cancer. 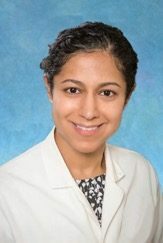 Dr. Gita Mody (@gitamody) is an Assistant Professor of Surgery and the Director of Thoracic Surgical Oncology at the University of North Carolina. Her global experience includes clinical trials in India and Rwanda and surgical outcomes after thoracic surgery in Peru and Malawi.